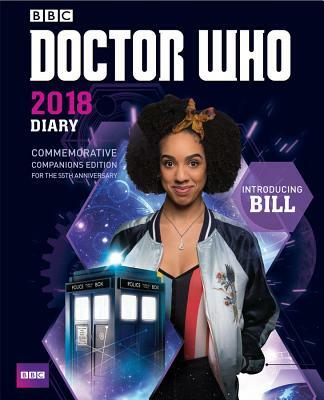 The 2018 Doctor Who Diary covers the entire 12 episodes of Series 10, plus the Doctor Who Christmas Special, 'The Return of Doctor Mysterio. Peter Capaldi continues in his role as the 12th Doctor, assisted by his new companion, Bill Potts, played by Pearl Mackie. Popular characters remain, notably Missy and Nardole, and new characters include The Landlord, played by David Suchet.